Printing from a computer is the traditional defacto way of printing but with the onset of smartphones, there is an increasing need for a new kind of printing application. The increasing use of the smart phone has extended the traditional phone’s sphere into business and pleasure so much that we now need to be able to print directly from our phones to printers, without having to download first onto a computer. Several new applications are now on the market that allow us to do just that. A newly upgraded product out on the market for the Ipad and iPhone is allowing the printing of all sorts of documents and pictures that used to require you to physically transfer files to a computer first. 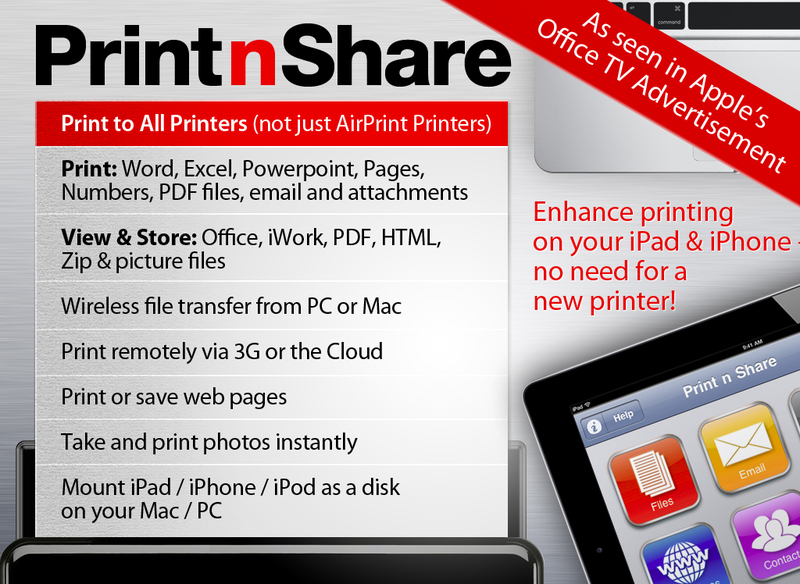 This new product is called Print n Share and its available for a very reasonable price ($9,99). The Print n Share application will allow you to print from you Ipad or iPhone to a wide range of different printers directly via Wi-Fi or through a network. It will also allow for wireless downloading of files to either a Mac or a PC, from which you can then print to any printer. No longer will you have to connect your phone to a printer, or email your pictures, or calendar to your desktop in order to print these items out. It also makes it possible to print these items out to any printer, which have USB or Bluetooth functionality. This is an interesting product that can save a lot of time and it is currently in its fifth version showing it has some stability and history. It is necessary to install a free product called WePrint on any computer that will be communicating with Print n Share. Since this is a free app, the only problem is making sure the product is installed on any computers you wish to print on. The user feedback seems to be very positive. As the product is specifically made for the Ipad and iPhone there isn’t that confusion which sometimes arises with android products. Users have generally accepted the price since it’s a small cost compare to the functions the app can do. Generally, the only issue seems to be the need to install the WePrint software on all computers, which will need to operate with the printers using the Print n Share application. There is still some confusion about this, and it would be beneficial if the application suppliers could indicate more succinctly, what is required for Wi-Fi printing. The PrintShare Mobile app works with the Apple IPhone, Ipad and IPods and with certain Android phones and tablets. It offers a free version, which allows you to test to see if it will work with your brand of phone or tablet. This application will allow you to print to any printer anywhere in the world, not just your own printer. It will perform what it calls nearby printing, which is printing using Wi-Fi, or your Local Area network. It also has Remote Printing via the internet. You do not need to plug your phone into a printer; you can simply select a device and print to it. 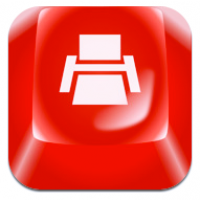 This app provides a large list of printer types on which it can operate. However, it will select the type most suitable if it does not have your particular choice in its repertoire. When using the Remote printing option, you must connect to a computer, and sign into the PrinterShare application, select the printer of your choice and print. 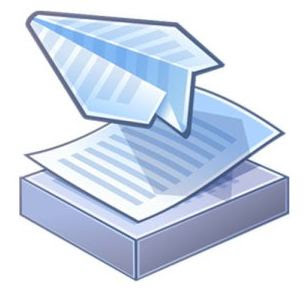 It is necessary for the computer you are printing from to have the application installed too. If it does not, then you cannot use that printer, via that computer. Users seem to be equally divided between those who are relatively happy with the product and those who are very unhappy with the product. For instance, because of the limited viability of the free version of the product, it put off many people. However, those who purchased the full version found it worked well with iPhone and some androids, and tablets. With others like the Kindle Fire, the product did not function at all, or did not function correctly. Steven writes for various technology blogs where he shares his expertise on iphone and android applications. He also often reviews internet services like online printing, photo sharing and cloud storage. You can find him @stevenpapas and on Google +.